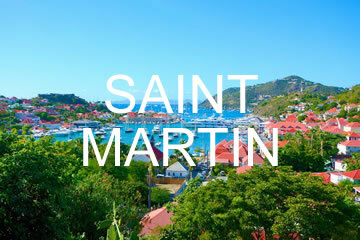 Gustavia to Basseterre - 42 nm. 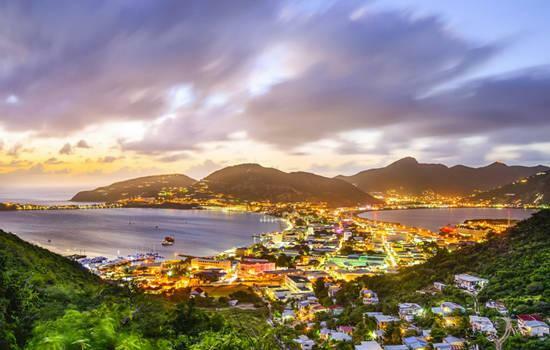 The open-water passage from St. Barts to the stunningly beautiful St. Kitts and the port of Basseterre, the capital of this independent nation with a French and British history, is a good example of Caribbean sailing at its best. The nearby island of Nevis is also part of the country and equally as beautiful. Shops, restaurants, a museum, quiet plazas, and the varied architecture of the old town district are pleasing as you stroll down the streets. The marina, casino, and additional restaurants and shops at the 25-acre Port Zante are relatively new and a big draw among sailors visiting Basseterre. Touring St. Kitts by taxi or rented car is highly recommended. Beyond the old sugarcane plantations are the mountains and rain forest, excellent for guided hiking adventures. Mooring: No moorings are available. The harbor is protected in northerly and easterly winds. Southeasterly winds make it uncomfortable. The best anchorage is either off the Deep Water Port, near the Coast Guard station, or off the marina at Port Zante. Most charterers opt to stay at the marina, which is secure, comfortable, and well maintained. A seawall ensures that you'll have a restful night in a southeasterly wind. Dinghy dockage: Dinghy dockage is available for a fee at Port Zante. Things to do: Aside from the shops and restaurants in the old town and at Port Zante, the attractions within Basseterre include a small museum and a casino. The fort of Brimstone Hill is fascinating. Hiking trails lead up the nearly 3,800-foot peak of Mt. Liamuiga through a rain forest inhabited by African vervet monkeys (also called African green monkeys or greenbacks), tropical birds, and all manner of tropical plants. The island's volcanic origins are obvious in the form of deep craters, some filled with freshwater lakes. Throughout the island are historic manor homes and plantations open to the public, and a network of roads you could hike, bike, or drive for many hours. A car rental is the best way to see all of the island's out-of-the-way places. Facilities: Fuel, water, ice, showers, garbage disposal, provisions, laundry services and laundry facilities, propane, Internet access, taxicabs, as well as bicycle and car rentals are available. Basseterre to White House Bay - 5 nm. St. Kitts is shaped like a fat drumstick, with its southeastern tip accounting for the skinny end. There you'll find two picturesque bays just a short downwind hop from Basseterre well worth visiting, particularly if you want quiet seclusion while at anchor. White House Bay is the smaller of the two. Ballast Bay is larger and has access to a large salt pond ideal for watching wading birds. Mooring: No moorings are available. Both anchorages are protected. White House Bay is smaller than Ballast Bay. The best holding is closer to shore; it gets rocky farther out. Ballast Bay has plenty of room and good holding just about everywhere. Things to do: White House Bay is within easy walking distance of the road at the southeastern end of St. Kitts. It's possible to arrange a tour of the island, with White House Bay as the pickup location. The beach is pleasant for swimming and sunbathing. Ballast Bay isn't near the road, which makes it more isolated. The beach is stony. Nearby is a large salt pond populated with numerous wading birds. It's worth taking a short stroll to see it. White House Bay to Charlestown - 10 nm. 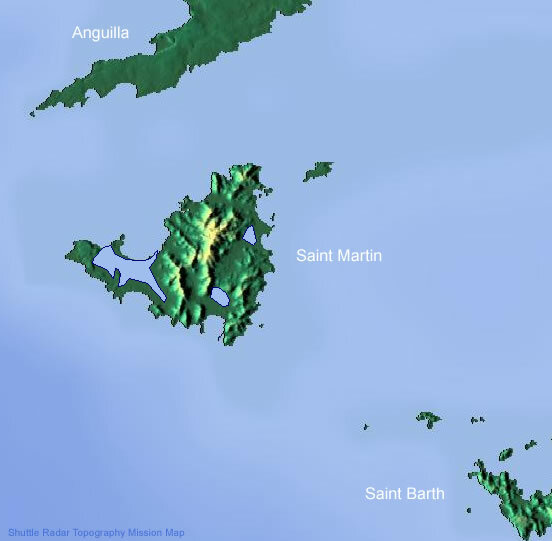 The neighboring island of Nevis is just a short sail from St. Kitts. It's similar in topography, with mountains of over 3,000 feet in elevation cloaked in rain forests teeming with wildlife and an abundance of tropical plants. The port of call and only settlement is Charlestown, a quiet, pleasant community with historic buildings, eclectic shops, and a variety of restaurants. You'll want to leave time to explore this island, just as you did with St. Kitts. Mooring: No moorings are available. There is ample room to anchor off Charlestown. The anchorage off Pinney's Beach is excellent (look for the Four Seasons Hotel). Holding is good in sand. Things to do: Attractions include exploring the ruins of historic Fort Charles and visiting the Nelson Museum, which pays homage to British naval hero Admiral Horatio Nelson. The Museum of Nevis History is another fascinating destination. Horseback riding, guided hikes, island tours by taxi or rented car, a stroll through the 96-acre Golden Rock Estate, and relaxing at the Four Seasons Hotel on Pinney's Beach are among the many delights of a visit to Nevis. Naturally, there are casual and upscale restaurants to satisfy any culinary desire. Facilities: Fuel, water, ice (sometimes), provisions, Internet access, as well as mountain bike and car rentals are available.